Possibly the cheapest and most powerful way of getting customers to your business. E-mail marketing is an incredibly cheap and useful way to build up your customer base. We've used it for multiple businesses ranging from local electricians trying to build up more trade in their local area, to companies working nationwide, introducing customers to their products. There are a number of things that you must get right when marketing via e-mail. Firstly, we source the right e-mail addresses. Depending on your business, you may want to e-mail members of a particular trade group, like Checkatrade.com. If you only work in your local area, we can collect e-mail addresses from businesses within a 30 mile radius, for example. Or you may want to target businesses across the UK. The other thing to consider is the marketing e-mail itself. We take a great deal of care in creating the e-mail for you, writing it in such a way as to ensure sales are more likely and that people do not simply delete the e-mail without reading it. 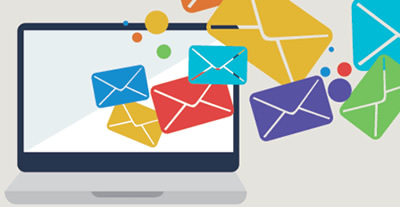 To talk to us more about e-mail marketing and how it can benefit your business, please get in touch.